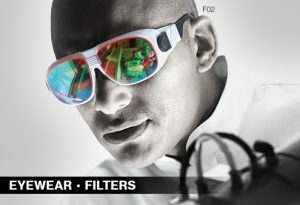 Laser safety goggles based on coated or absorptive plastic or glass filters are the core business of laservision. Unlike many other manufacturers, which are focused mainly on one technology only, laservision is using all technologies to design and manufacture laser safety products. Bases on more than 20 years of history laservision has long lasting experience on all relevant fields of technology. This includes processing of different materials as well as manufacturing capabilities of absorbing and reflective filters and combination of these technologies to design the optimum laser protection for all laser users. Our own product and market focussed research and development ensures in close cooperation with leading suppliers a continously improved product development. Coatings on glass or plastic substrates are designed, optimiseed and produced on the own PVD facility.